The eighth annual Blizzard Student Art Contest has finished. You can check out all the winners and runner-ups in this post. Also check out this awesome corgi mount concept! Such a good boy! Senior Game Designer Jeremy Feasel has shared details about the next content update, Rise of Azshara! 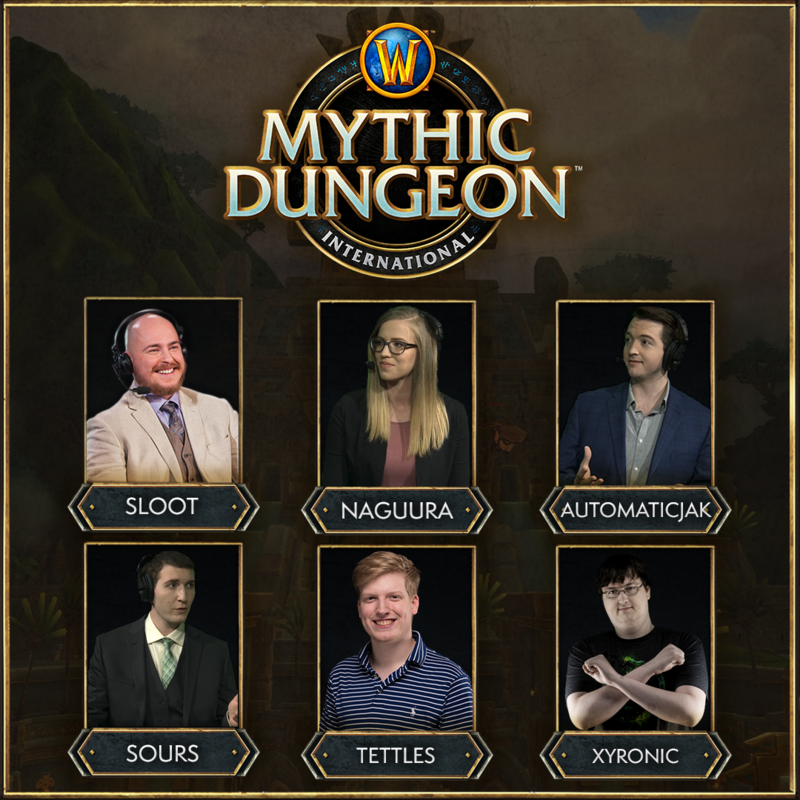 You can watch the video on twitch or below! If you'd like a recap for Rise of Azshara, check our Patch 8.2 Preview. We'll make sure to update it with everything new in the upcoming days! The Darkmoon Faire returns for a week, and is now live in NA and EU. During this time you can get a 10% experience and reputation buff, which is great for unlocking the Allied Races, grinding paragon reputations, and leveling characters! In Patch 8.1.5 there are three new balloon pets to collect. You can purchase them from Carl Goodup for 90 Darkmoon Prize Tickets each. 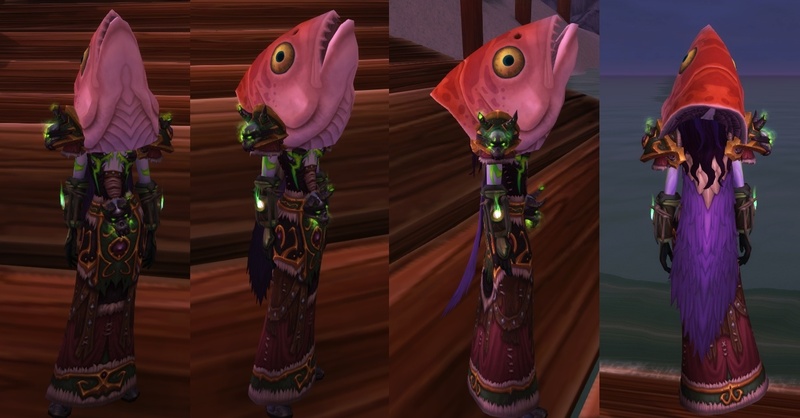 There are also some curious Severed Fish Heads that you can put on your head: Severed Crimsonscale Head and Severed Azurefin Head. 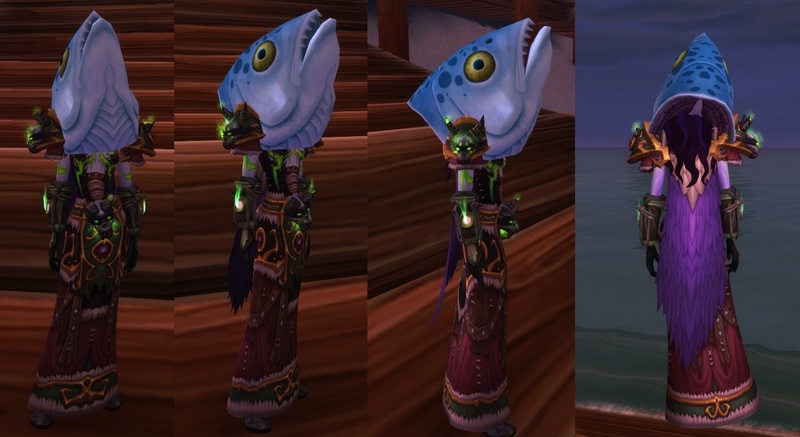 They are time-limited and have Old Gods hints as descriptions: "Something strange is happening in the waters surrounding Darkmoon Island..."
Patch 8.1.5 also brings out a new attraction to the Darkmoon Faire: The Roller Coaster - a motion sickness simulation in a first-person point of view. Similar to the Darkmoon Carousel, you can take the Roller Coaster to get a 10% experience and reputation buff for 1 hour (https://www.wowhead.com/spell=46668/whee). Check out our Darkmoon Faire World Event Guide for a full list of rewards you can get during this event, including mounts, pets, toys, transmog and achievements! East Cup 1 April 5-6, 5 p.m. April 6-7, 2 a.m. April 6-7, 9 a.m.
East Cup 2 April 19-20, 5 p.m. April 20-21, 2 a.m. April 20-21, 9 a.m.
East Cup 3 May 3-4, 5 p.m. May 4-5, 2 a.m. May 4-5, 9 a.m.
World of Warcraft – Free This Weekend! World of Warcraft is free to play this weekend! Battle for Azeroth™ is in full swing, and everyone is needed on the front lines. This weekend, we’re upgrading all inactive World of Warcraft accounts, granting returning players full access to the game* and all their characters—including the Battle for Azeroth trial experience**, for those who don’t own the latest expansion—through March 24. Need Help Logging Back In? Within the app, click on the World of Warcraft tab, then either Install or Update. When the installation or update is complete, click Play. Play free through March 24, 2019! If you’re a returning player, it’s the perfect time to take advantage of our current sales. We’re offering 30% off select game services*** and $20 off World of Warcraft: Battle for Azeroth or the World of Warcraft Complete Collection. Learn more about the Welcome Back Weekend and game services sale. *Offer available through March 25, 2019. Player is responsible for any online connection fees. Game access will be granted at the last expansion purchased or World of Warcraft®: Legion®, whichever is greater, and players can access this content throughout the entire duration of the Welcome Back Weekend. ***Sale does not include Guild Services, WoW Token, Character Boost, Pets, Mounts or Transmog items.